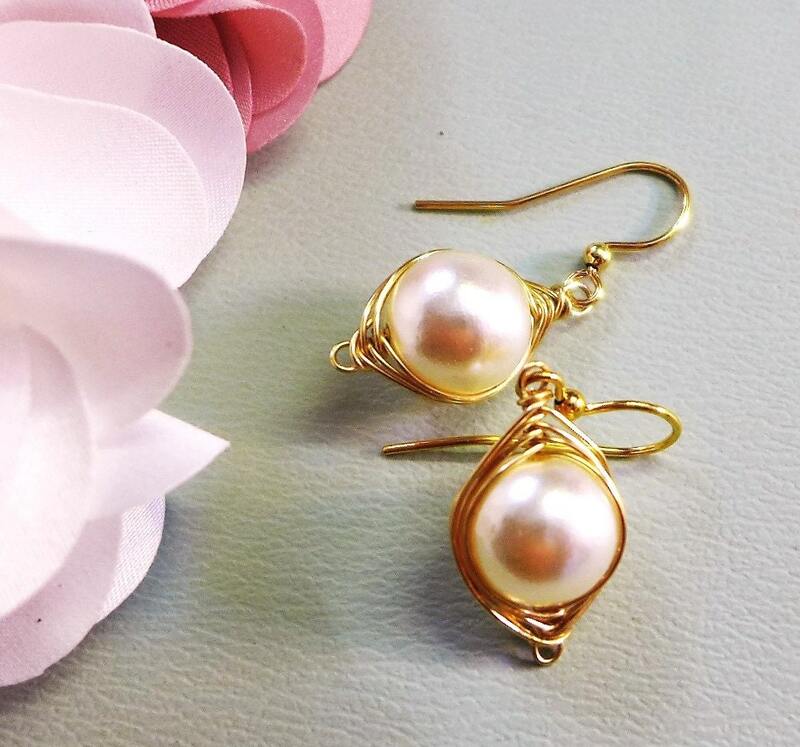 These pretty earrings are hand wrapped with 10mm cream/ivory glass pearl using a gold plated wires in herringbone weave style. 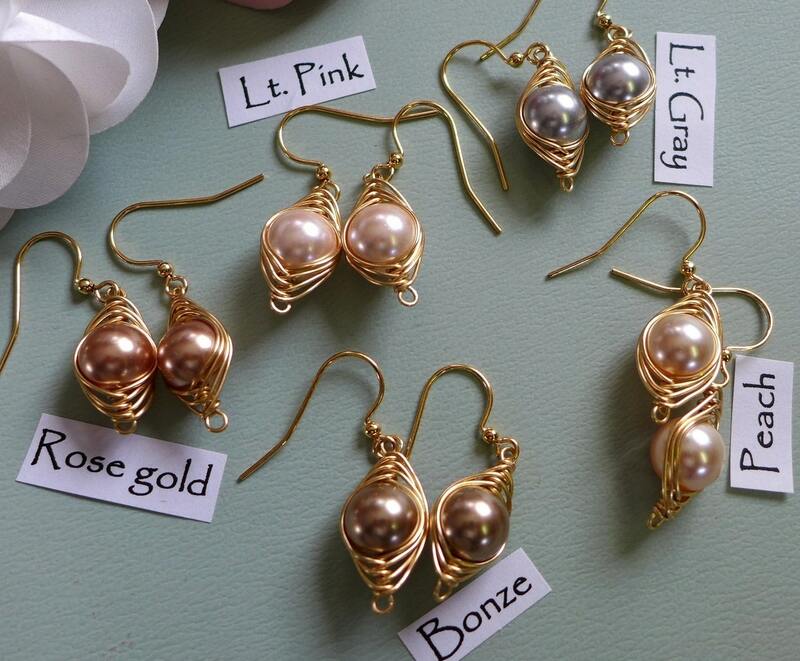 Choose your pearl color earrings. 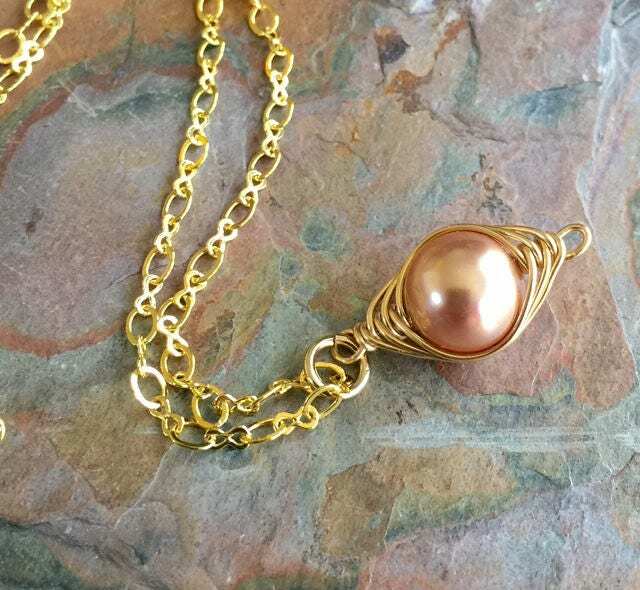 They dangle freely about 7/8 inch from the bottom of the gold plated earwires. They are sure to become your favorite pair. These are gorgeous and so well made. I am very pleased. Thank you! Quality made. The light pink color is beautiful. The necklace and earrings are absolutely stunning. 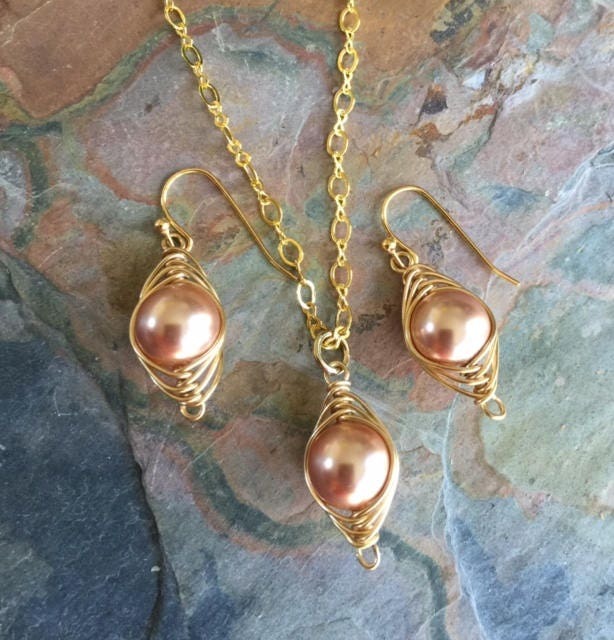 I am looking forward to wearing the set to my niece's summer wedding. Purchased for my Mom for Mother's day. Arrived on time and she loves the set!